The Cause: The event helps fund research for the Triple Negative Breast Cancer Foundation. Details: LongView Gallery; 7 p.m.; $150; sponsorships start at $1,000; contact info@tnbc.org. The Cause: National Hispanic Foundation for the Arts hosts the event to encourage the presence of Latinos in the community and media platforms by supporting them through the arts. Details: The Mayflower Hotel; 6:30 p.m.; black-tie; sponsorship starts at $1,250; contact (202) 293-8330. The Cause: A weekend of food, cocktails, and conferences with thought leaders and health professionals dedicated to improving the quality of patient care and continuing to generate health education and research in the community. Details: Salamander Resort & Spa; kickoff, spotlight health panel and reception on the 14th; Thought Leaders summit, activities and dinner on the 15th; family farewell brunch on the 16th; contact SpecialEvents@inova.org. The Cause: The Wolf Trap Foundation for the Performing Arts is a non-profit organization that provides arts and education programs to nearly 500,000 people of all ages locally and across the country every year. Details: Wolf Trap National Park’s Filene Center; 7:00 p.m.; black-tie; $750; table sponsorships start at $10,000; contact events@wolftrap.org. Highlight: The Ball, held on the magnificent Filene Center stage, features British cuisine and dancing to iconic songs from the Second British Invasion era as performed by The Legwarmers. 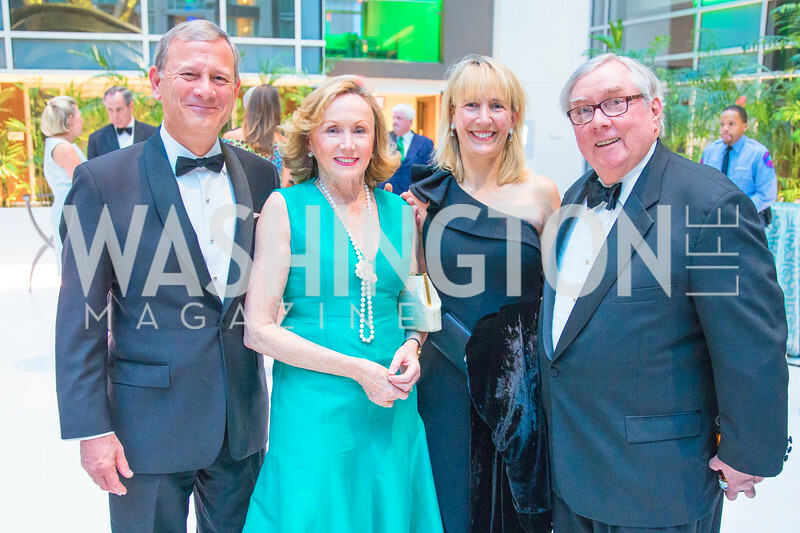 The Cause: In its 11th year the gala dedicates 65% of its proceeds to Life With Cancer, the educational, informative, and emotional support program of the Inova Schar Cancer Institute. Life with Cancer provides support for cancer patients and their loved ones nationwide. Smith Center for Healing and the Arts, the only independent cancer support center based in Washington D.C., receives 35 percent of all proceeds. Details: The Omni Shoreham Hotel; VIP reception 5:30 p.m. to 6:30 p.m., general reception and silent auction at 6 p.m., program, dinner and live auction at 7:30 p.m., after party 10 p.m. to 11:30 p.m.; black-tie; $700; sponsorships start at $1,700; contact Susan Hubert (202) 689-1917, hubert@slslaw.com. The Cause: The Human Rights Campaign is the leading national organization that fights for LGBTQ rights, education, and programs. Details: Walter E. Washington Convention Center; 5 p.m.; $400; contact HRC events team galadinners@hrc.org. The Cause: The evening benefits Innocents at Risk’s mission to combat child trafficking. Details: The Mayflower Hotel; 7 p.m.; cocktail attire; $500; sponsorships start at $1,200; contact Deborah Sigmund (202) 625-4338, debsigmund@gmail.com. Highlights: NBC’s Barbara Harrison will serve as master of ceremonies. Guests will enjoy a special performance from the World Children’s Choir. The Cause: The event supports the museum’s preservation, promotion and education programs related to the many contributions of Americans of German ancestry. Details: Organization of American States; 6:45 p.m.; $300; black-tie; sponsorships start at $1,500; contact or (202) 467-5000, gala@gahmusa.org. Highlight: Entrepreneur and investor Peter Thiel will be honored with the Distinguished German-American of the Year award. The Cause: The proceeds from the Opening Gala support the NSO’s educational and community engagement programs. Details: The John F. Kennedy Center for the Performing Arts; 5:30 p.m.; black-tie; $1,000; sponsorships start at $5,000; contact Madeline Marquez (202) 416-8102. Highlight: The NSO and Music Director Gianandrea Noseda will be joined by acclaimed violinist Joshua Bell for a concert that will feature space-inspired works that explore music’s relationship in expressing the vastness and spirit of space exploration. The Cause: Through a variety of programs the Touching Heart organization’s mission is to teach children the power of kindness and helping those in need. Details: Hilton Washington Dulles Airport Hotel; 6:00 p.m.; black-tie; $100; sponsorships start at $500; contact info@touchingheart.com. The Cause: Proceeds benefit St. Jude Children’s Research Hospital to help ensure that families never receive a bill for treatment, travel, housing or food. Details: French Embassy; 6:00 p.m.; $100; sponsorships start at $2,500; contact Erin Farrell (703) 650-4504, Erin.Farrell@stjude.org. The Cause: The event will raise funds to support Child Justice’s programs, which protect children “lost in the system” after exposure to family violence, physical/sexual abuse, substance addictions or neglect. Details: Georgetown University Hotel & Conference Center; 2:30 p.m.; business casual attire; $200; sponsorships start at $500; contact Danielle Tergis (202) 643-9503, Danielle@thetergisgroup.com. Highlight: Recording artist and singer Johnny Mathis will perform. The Cause: The PEN/ Faulkner Award for Fiction and Writers in Schools programming. Details: Folger Shakespeare Library; 6:30 p.m; $600; $1,000 (pair); contact (202) 898-9063, rsvp@penfaulkner.org. Highlight: Ten writers including Kate Christensen, Joan Silber and Tobias Wolff will present work written on the theme of “magic” for the organization’s 30th anniversary. The Cause: BGCA helps teens working to accomplish their personal and academic goals and dreams. Details: National Building Museum; 6:00 p.m.; cocktail attire; $1,000; young patron tickets $500; sponsorships start at $15,000; contact Ahmed Ali, adali@bgca.org. Highlight: Denzel Washington and Kelly Rowland, longtime supporters of the organization, will be in attendance. The Cause: The group highlights Armenia’s democratization and the further expansion of U.S.-Armenia relations. Details: Marriott Marquis; 6:00 p.m.; $375; sponsorships start at $1,500; contact (202) 393-3434. Highlight: The gala will follow the Armenian Assembly’s Advocacy Conference and will honor Annie Simonian Totah for decades of advocacy work she has dedicated toward the organization’s cause. The Cause: The Congressional Coalition on Adoption Institute’s program promotes and supports adoption agencies and child welfare programs. Details: Ronald Reagan Building and International Trade Center; 6:30 p.m.; business or cocktail attire; $250; contact (202) 544-8500, info@ccainstitute.org. The Cause: The reception marks the gathering of influential leaders who engage in conversations regarding A Wider Circle’s mission to end poverty. Programs focus on the provision of basic need items, workforce development, wraparound support and neighborhood revitalization to alleviate poverty and make long-lasting changes to low-income families. Details: National Building Museum; 6:00 p.m.; $250; sponsorships start at $1,000; contact Shannon Hawkins (301) 608-3504, shannon@awidercircle.org. The Cause: The Association of Black Cardiologists advocates for better health care for all as embodied in the tagline: Saving the hearts and minds of a diverse America. Details: The Ritz-Carlton, Washington, D.C.; 6:30 p.m.; black-tie; $500; sponsorships start at $10,000; contact Kyle Hutchinson (202) 821-1217, kyle@hdconcept.com. The Cause: The annual gala supports the Town Hall Education Arts Recreation Campus and its partners, which host dance and music classes, fine arts and other programming and services for underserved communities. Details: Town Hall Education Arts Recreation Campus; 6:30 p.m.; afterdark chic attire; $250; sponsorships start at $1,000; contact Beth Sadler (202) 889-5901 x100, BSadler@thearcdc.org. 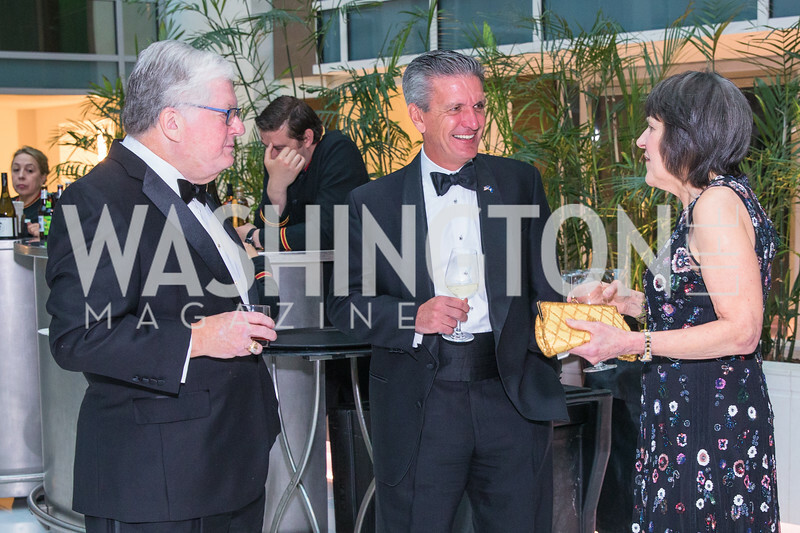 The Cause: The annual Ambassadors Ball honors the Washington Diplomatic Corps and members of Congress for their many contributions to charitable and humanitarian efforts. Proceeds support the treatment, research and other programs for patients or families affected by multiple sclerosis. Details: The Anthem; 6:30 p.m.; black-tie; $600; sponsorships starts at $5,000; contact Amanda Herman (202)-375-5620, Amanda.Herman@nmss.org. The Cause: The Institute for Policy Studies honors two outstanding champions of human rights who advance justice, peace and dignity for all. Details: Carnegie Institute; 5:30 p.m.; $75; sponsorships start at $250; contact Violeta Curiel (202)787-5237, violeta@ips-dc.org. The Cause: Advocating for LGBTQ equality through the support of the Human Rights Campaign Foundation, the largest civil rights organization nationwide. Details: Washington National Cathedral; $200; contact chefstickets@hrc.org. Highlight: “5/10/15 Speed Diner,” — 5 dishes/10 chefs/15 minutes — where ticket holders can purchase 15-minute time slots at two, diner-style, eight-person counters. The Cause: Based in the Baltimore-Washington metro region, Kennedy Krieger Institute improves the lives of children and young adults with brain disorders and developmental and other disabilities through research, treatment and education. Details: The Capitol Hilton; 6:00 p.m.; business attire; $500; sponsorships start at $5,000; contact Jennifer Doyle (443) 923-4324, DoyleJ@KennedyKrieger.org. The Cause: The National Archives Foundation honors individuals who exhibit a passion for and dedication to spreading American history. Details: National Archives; 6:00 p.m.; $1,000; contact Chris McCleary chris.mccleary@archivesfoundation.org. Highlight: This year’s award recipient will be Laura Bush. The Cause: The evening will benefit Community of Hope’s work to end homelessness and improve health for families in the District. Details: 101 Constitution Ave NW; 6:30 p.m.; business or cocktail attire; $85; sponsorships start at $1,000; contact Alexis Squire (202) 407-7760, asquire@cohdc.org. The Cause: Sibley Memorial Hospital relies on the support of the community to maintain a standard of excellence in public health services, including cancer research, maternal services and joint replacement care. Details: The French Embassy; 6:00 p.m.; business or cocktail; $100; sponsorships start at $1,000; contact Casey Cave (202) 660-6539, ccave@jhmi.edu. The Cause: The second annual fundraiser will support the organization’s efforts to recruit mentors for disadvantaged youth in the Washington, D.C. region. Details: Woman’s Club of Chevy Chase; 7:00 p.m.; $200; sponsorships start at $500; contact (240) 772-1101, info@mentorprize.org. 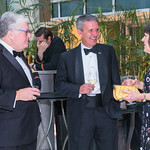 The Cause: Now in its 50th year, the annual gala supports Meridian International Center, a nonprofit, global leadership and public diplomacy organization that prepares U.S. and international leaders to meet challenges and opportunities to improve a shared global future. The morning of the 50th Annual Meridian Ball, guests are invited to the Global Leadership Summit, which showcases Meridian’s work and honors Ball Leadership, including this year’s Corporate Chair, United Airlines, and Global Engagement Chair, Whittle School & Studios. Details: Meridian International Center; 9 p.m.; black-tie; $750; sponsorships start at $5,000; contact Olivia Dorieux (202) 939-5892, odorieux@meridian.org. The Cause: Mary’s Center will honor distinguished partners who work tirelessly to provide opportunities for participants and neighbors to build a better future. Details: Marriott Marquis; 6:30 p.m.; cocktail attire; $325; sponsorships start at $2,500; contact Antonio Caro (202) 594-6632, acaro@maryscenter.org. The Cause: Proceeds from the show will support Men of CODE, a Becky’s Fund’s program, which encourages young male athletes and coaches to be allies and leaders in the movement against domestic violence. Details: Location TBD; 6:00 p.m.; $150; sponsorships start at $1,200; contact info@beckysfund.org. The Cause: Rock Creek Conservancy’s mission is to restore and protect Rock Creek and its parklands as a natural oasis for the community. Details: Embassy of New Zealand; 6:00 p.m.; cocktail attire; $300; sponsorships start at $1,500; contact Kate Arion, (301) 579-3105, karion@rockcreekconservancy.org. The Cause: The 43rd annual event is dedicated to preserving, promoting and protecting Italian American Heritage. Details: Marriott Wardman Park; 5:30 p.m.; $500; sponsorships start at $1,500; contact information@niaf.org. Highlight: Puglia will serve as this year’s Italian region of honor. The Cause: The Women’s Center provides affordable mental healthcare, domestic violence advocacy, and career and financial education services. Details: The Ritz-Carlton, Tysons Corner; 6:30 p.m.; black-tie optional; $300; contact (703) 281-2657. The Cause: The gala provides funding for the Shakespeare Theatre Company’s education and outreach programs. Details: Harman Center for the Arts (performance) and the National Building Museum (dinner); 6:00 p.m.; black-tie; $750; sponsorships start at $5,000; contact Kathryn Burns-Yocum (202) 547-3230, STCGala@shakespearetheatre.org. The Cause: All proceeds benefit Monumental Sports & Entertainment Foundation. Details: MGM National Harbor; cocktail attire; contact Elizabeth Pace, epace@monumentalsports.com. Highlight: The entire Stanley Cup winning team will be in attendance. The Cause: AFTA is an arts service organization delivering life-enhancing and innovative experiences to older people in adult care centers, community centers, senior centers, and assisted living and senior housing communities. Details: The Hay-Adams; 6:30 p.m.; $250; sponsorships start at $1,000; contact Stephanie Heishman events@aftaarts.org. Highlight: Teresa Heinz will be presented with the Lolo Sarnoff Founder’s Award for Philanthropy. The Cause: The College Success Foundation – DC provides underserved and local low-income students with the academic, social, emotional, and financial support they need to graduate from college and thrive in life. Details: Marriott Washington Wardman Park Hotel; 7:30 a.m.; sponsorships start at $2,500; contact (202) 207-1817, events@collegesuccessfoundation.org. Highlights: Keynote speech by Costco Wholesale co-founder, Jim Sinegal and opportunities to meet and learn from inspiring alumni of the program. Highlights: Four days of carefully curated narrative and documentary film screenings across theater venues in Middleburg, Virginia. The Cause: Bethesda Green’s mission is to accelerate the sustainable economy locally with a focus on innovation, impact and community. Details: Bethesda Blues & Jazz Supper Club; 5:30 p.m.; $110; sponsorships start at $1,000; contact Kimberly Hodges gala@bethesdagreen.org. The Cause: Proceeds from the event support nonprofit organizations that work with over 80,000 children and low-income families in the nation’s capital. Details: Washington National Cathedral; 7:00 p.m.; cocktail attire; $200; sponsorships start at $2,500; contact Benjamin Bradburn (202) 467-2428, bbradburn@fairchancedc.org. The Cause: Chamber’s Choice Awards celebrates achievements, innovation and success in the greater Washington metropolitan area. 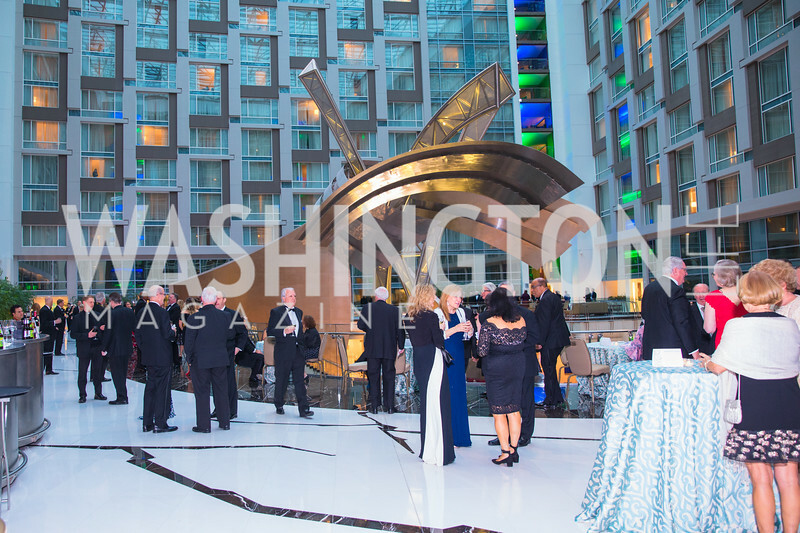 Details: Marriott Marquis; 5:00 p.m.; black-tie; $450; sponsorships start at $3,000; contact Janelle Morris (202) 821-4819, jmorris@dcchamber.org. The Cause: The event supports innovative hands-on education and job-training programs provided by Living Classrooms Foundation, which works primarily with youth and young adults living in high-risk environments in the Washington and Baltimore areas. Details: James Creek Marina; 7:00 p.m.; casual or festive attire; $120; sponsorships start at $2,500; contact Thara Taylor thara@livingclassrooms.org. Highlights: Live musical performance by the James Brown Dance Party. The Cause: Proceeds will benefit Hope for Henry’s comprehensive, year-round, in-hospital program that reinvents how hospitals care for seriously ill children and their families. Details: City Winery; 6:30 p.m.; $500; sponsorships start at $2,500; contact Laurie Strongin (202) 813-3385, laurie@hopeforhenry.org. The Cause: Funds raised through the Best Buddies Friendship Walk benefit Best Buddies International – the world’s largest non-profit organization dedicated to ending the social, physical and economic isolation of the 200 million people with intellectual and developmental disabilities. Details: Corner of 3rd St. SW and Madison Dr. NW; 9:00 a.m.; athletic/casual attire; no cost, but donations are encouraged; contact (703) 533-9420, CapitalRegion@bestbuddies.org. The Cause: Humane Rescue Alliance, Washington, D.C.’s only animal welfare organization that supports the animals and communities of Washington. Details: Washington Hilton; 6:00 p.m.; black-tie; $150; sponsorships start at $5,000; contact (202) 735-0324, events@humanerescuealliance.org. The Cause: Proceeds benefit the Iranian American Medical Society of Greater Washington. Details: The Ritz-Carlton, Tysons Corner; 6:30 p.m.; black-tie; $200; sponsorships start at $500; contact iamsstaff@gmail.com. The Cause: Members of the entertainment community gather to honor the world’s greatest humorists. Details: Kennedy Center Concert Hall; 8:00 p.m.; business attire; sponsorships start at $500; contact (202) 416-8335, mtp@kennedy-center.org. Highlights: In its 21st year, the annual event will honor “Seinfeld” and “Veep” star Julia Louis-Dreyfus. The taped PBS broadcast will air Monday, November 19. The Cause: The gala raises funds to educate, train, and coach middle school students to their fullest potential by hosting after school academies, and transition and summer programs. Details: Warner Theatre; 6:30 p.m.; business or cocktail attire; $250; sponsorships starts at $5,000; contact Janice Cori (202) 375-7728, jcori@higherachievement.org. The Cause: The evening benefits the United States Equestrian Team Foundation, which supports competition, training, coaching and educational needs of equestrians across the country. Details: PwC Club at Capital One Arena; 7:00 p.m.; cocktail/equestrian chic attire; $150; contact hospitality@wihs.org. Highlights: Cocktails, dinner and a world class equestrian competition. The Cause: Proceeds go to research, funding, and advocacy programs sponsored by the March of Dimes Foundation. Details: Marriott Marquis; 6:00 p.m.; business attire; sponsorships start at $2,000; contact Kate Leib (571) 257-2309, kleib@marchofdimes.org. The Cause: Proceeds benefit the Colon Cancer Alliance and its research, prevention and patient support programs. Details: National Building Museum; 5:30 p.m.; cocktail attire; $450; sponsorships start at $3,500; contact BlueHopeBash@CCAlliance.org. Highlight: NBC’s Craig Melvin will emcee the eighth annual event. The Cause: Proceeds from the gala helps high-risk children and provide opportunities for the cyber security community. Details: Andrew W. Mellon Auditorium; 6:30 p.m.; black-tie optional; $500; sponsorships start at $2,500; contact Kelsey Presswood (301) 565-8532, kpresswood@childrensnational.org. The Cause: The event supports Capital for Children’s charitable efforts in the Washington metropolitan area. Details: The Hotel Monaco; 6:00 p.m.; business attire; $250; sponsorships start at $5,000; contact Cassandra Hanley cassandra@capitalforchildren.org. The Cause: The Smithsonian National Museum of African Art Dinner celebrates the diverse arts of Africa and recognizes the important contributions of women who are positively influencing the global arts community. Details: Smithsonian Arts and Industries Building; 6:30 p.m.; fashion-forward or national dress; $500; sponsorships start at $1,000; contact Catherine Anchin (202) 633-3773, NMAfAAwards@si.edu. Highlights: This year’s honorees will include artists Edson Chagas and Wangechi Mutu as well as the Andrew W. Mellon Foundation. The Cause: The event brings together the arts, business and civic civic communities to celebrate the contributions of artists and organizations for supporting the arts in Fairfax County. Details: Fairview Park Marriott Hotel; 12 p.m.; $250; sponsorships start at $2,500; contact (703) 642-0862, artsawards@artsfairfax.org. The Cause: This annual event supports Catholic Charities’ Spanish Catholic Center, which is celebrating its 50th anniversary as one of the leading service providers to the region’s immigrant population. Details: Marriott Marquis; 6:30 p.m.; black-tie; $500; sponsorships start at $2,000; contact Carmen Joya (202) 772-4334, events@cc-dc.org. The Cause: JDRF raises critical funds for type 1 diabetes (T1D) research to progressively reduce its impact on people’s lives. Details: National Building Museum; 6:00 p.m.; black-tie; $500; sponsorships start at $5,000; contact Stephanie Stuckey sstuckey@jdrf.org. The Cause: The Thurgood Marshall College Fund (TMCF) is the nation’s largest organization exclusively representing publicly-supported Historically Black Colleges and Universities and Predominantly Black Institutions. Through scholarships, capacity building and research initiatives, innovative programs, and strategic partnerships TMCF is a vital resource in the K-12 and higher education space. Details: Washington Marriott Wardman Park; 7:00 p.m.; black-tie; $500; contact George F. Spencer (202) 747-7188, george.spencer@tmcf.org. The Cause: The Women’s Foundation works to mobilize the local community by providing solutions to eliminate the barriers that disproportionately hinder women and girls from achieving economic security. Details: Marriott Marquis; 11:00 a.m.; $200; sponsorships start at $500; contact (202) 347-7737, info@wawf.org. The Cause: The event supports educational and scholarly programs of the United States Capitol Historical Society. Details: Location TBD; business attire; contact Laura McCulty Stepp (202) 543-8919, lmstepp@uschs.org. The Cause: IWMF leads efforts that support, protect and recognize female journalists who risk their lives to bring vital stories that would otherwise go unreported. Details: Newseum; 6:30 p.m.; $300; sponsorships start at $5,000; contact Kaitlin Garthwaite kgarthwaite@inezevents.com. Highlight: Three female photojournalists will be recognized along with “60 Minutes” correspondent Leslie Stahl who will be awarded with the IWMF’s Lifetime Achievement Award. The Cause: Fight Night supports the critical work of Fight For Children, whose mission is to ensure quality youth sports programming in high-need communities throughout Washington, D.C. Details: Washington Hilton; 6:00 p.m.; black-tie; tables starting at $10,500; sponsorships start at $35,000; contact Judy Wrench (202) 772-0417, Judy.Wrench@FightForChildren.org. Highlights: Live boxing and mixed martial arts matches and a musical performance by Grammy-nominated artist Flo Rida. The Cause: Proceeds from the event provide funding for four local beneficiaries that aid survivors of domestic violence. Details: The Ritz-Carlton, Washington, D.C.; 6:30 p.m.; cocktail attire; $1,000; sponsorships start at $2,500; contact Jaimie Miller (202) 813-9161, Jaimie@knockoutabuse.org. Highlight: The event will mark the gala’s 25th anniversary. The Cause: To support the ongoing research, collecting, and programs of Smithsonian’s Food History programming and exhibitions. Details: National Museum of American History; 6:30 p.m.; black-tie; $500; sponsorships start at $2,500; contact (202) 633-3302, FantasiaKa@si.edu. Highlight: Chef Bobby Flay will serve as master of ceremonies. The Cause: The event pays tribute to local real estate industry leaders, developers, brokers and architects who have demonstrated a strong commitment to youth by making significant contributions to local Boys & Girls Clubs. Details: Marriott Marquis; 11:30 a.m.; business attire; $500; sponsorships start at $5,000; contact Marya Kawmy (202) 540-2328, mkawmy@bgcgw.org. 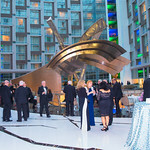 The Cause: An event to honor physicians, nurses and health professionals as philanthropy champions for their dedication in the Inova health care community. Details: The Ritz-Carlton, Tysons Corner; 6:00 p.m.; black-tie optional; $500; sponsorship starts at $3,000; contact Kara Burke (703) 289-2077, Kara.Burke@inova.org. The Cause: Dancers and local celebrities compete for a $10,000 grand prize awarded to a charity of their choice. Details: The Ritz-Carlton, Tysons Corner; 6:00 p.m.; black-tie; $175; sponsorships start at $500; contact Elaine Doody (571) 565-3163, edoody@cjcoakley.com. The Cause: Proceeds from the American Red Cross’ largest fundraising event of the year are put toward a variety of services for the community. Details: Hilton McLean, Tysons Corner; 6:00 p.m.; black-tie or mess dress; $400; sponsorships start at $5,000; contact Lisa Futterman, lisa.futterman@redcross.org. The Cause: The event will benefit the Cystic Fibrosis Foundation, which funds research and drug development, promotes individualized treatments, and ensures access to high-quality, specialized care. Details: The Ritz-Carlton, Washington, D.C.; 6:00 p.m.; cocktail attire; $500; sponsorships start at $5,000; contact Chelsea Director (301) 657-8444, cdirector@cff.org. The Cause: The Academy of United States Veterans Foundation is a non-profit organization that encourages a unified Veterans community. Details: St. Regis Hotel; 7:30 p.m.; black-tie; $50; sponsorships start at $4,000; contact Raashida Ryan-Hayes raashidah@ausvets.org. 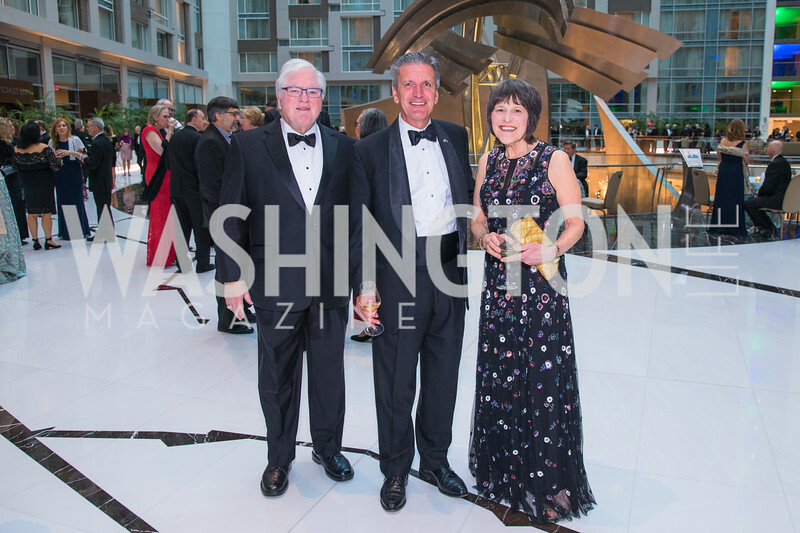 The Cause: All net proceeds from the Gala and Auction will fund need-based financial aid for students at The Lab School of Washington, which nurtures students with learning differences. 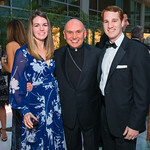 Details: National Building Museum; 6:00 p.m.; black-tie optional; $250; sponsorships start at $1,000; contact Marty Cathcart marty.cathcart@labschool.org. The Cause: An evening honoring women for their community service in the Washington metropolitan area. Proceeds go toward decreasing infant mortality rates in the community and ensuring the healthy and happy lives for babies. Details: The Ritz-Carlton, Tysons Corner; 6:00 p.m.; black-tie; $500; sponsorships start at $5,000; contact Bevan Bello (571) 257-2300, bbello@marchofdimes.org. The Cause: The Awards Dinner supports ISH-DC’s mission of providing young scholars and professionals a unique cross-cultural experience that helps them become dynamic global citizens and leaders. Details: International Student House of Washington, DC; 6:15 p.m.; business attire; $400; sponsorships start at $5,000; contact Jill Holcomb (202) 232-4007, jholcomb@ishdc.org. 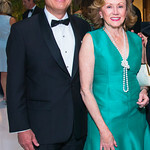 Details: Smithsonian’s Freer|Sackler; 6:00 p.m.; $250; creative cocktail attire; sponsorships start at $10,000; contact Megan Krefting (202) 633-0271, kreftingm@si.edu. The Cause: Alianta is an alliance to help strengthen U.S.-Romanian relations across culture, business and security. Location: U.S. Institute for Peace; 6:30 p.m.; business attire; $250; sponsorships start at $1,000; contact Daniela Kammrath dk.alianta@gmail.com. The Cause: The annual celebration recognizes Capital Caring’s ongoing efforts to improve care for those facing life limiting illness and all proceeds benefit the Pediatric Hospice and Palliative Care Program, one of the oldest and largest in the country. Details: Marriott Marquis; 5:30 p.m.; cocktail attire; $400; sponsorships start at $2,500; contact Katie Tran-Lam ktranlam@capitalcaring.org. The Cause: Proceeds from the gala will fund world-class research and treatment programs at Georgetown University for people with cancer. Details: The Ritz-Carlton, Washington, D.C.; 7:00 p.m.; black-tie; $750; sponsorships start at $5,000; contact Cristy Heffernan Seth ch1175@georgetown.edu. The Cause: Proceeds support SOME’s affordable housing programs for homeless and low income families. 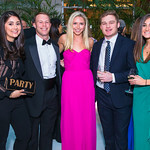 Details: National Building Museum; 6:00 pm; cocktail attire; $400; sponsorships start at $5,000; contact Ingrid Feigenbaum ifeigenbaum@some.org. The Cause: The event raises money for the treatment and prevention of Kidney Disease, as well as research grants. Details: Washington Hilton; 6:30 pm; cocktail attire; $500; sponsorships start at $2,500; contact Jaime Ritacco jaime.ritacco@kidney.org. The Cause: The Spy Museum, a nonprofit organization, educates the public about espionage and intelligence in an engaging way and provides a context that fosters understanding of their important role in and impact on current and historic events. Details: The Ritz-Carlton, Washington D.C.; 6:00 p.m.; cocktail attire; $595; sponsorships start at $7,500; contact Sofia Morales (202) 654-2853, smorales@spymuseum.org. Highlight: The evening’s honoree is Admiral William H. McRaven. The Cause: The dinner will raise awareness around the importance of positive youth development and drug prevention, on both a local and global level. Details: Embassy of Sweden; 6:00 p.m.; black-tie; sponsorships start at $15,000; contact (571) 458-7050, melissa@mentorfoundationusa.org. Highlight: Her Majesty Queen Silvia of Sweden will be in attendance. 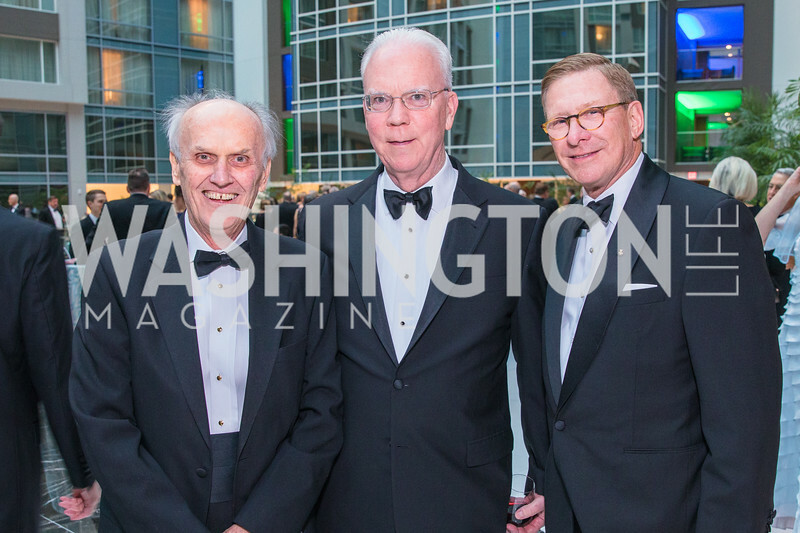 The Cause: The Washington Business Hall of Fame honors outstanding business leaders and entrepreneurs who have made a significant contribution to the quality of life in Washington. 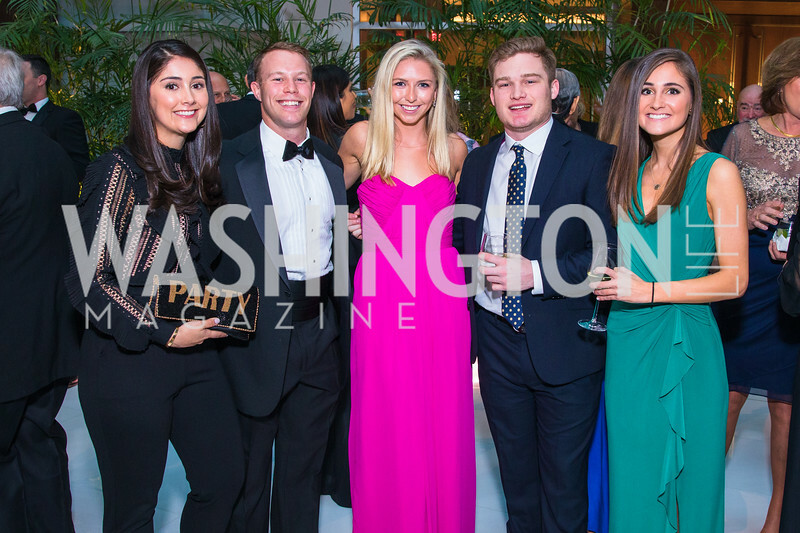 The event benefits Junior Achievement of Greater Washington, a non-profit group providing innovative financial literacy, work readiness and entrepreneurship K-12 programs designed to inspire and empower young people. Details: National Building Museum; 5:30 p.m.; black-tie; $1,000; sponsorships start at $10,000; contact Lauren Meltzer, (202) 777-4480, Lauren.Meltzer@JA.org. The Cause: The two-day culinary event comprises cooking demonstrations and workshops, celebrity chef book signings, local restaurant tastings and exhibitions from a variety of food-related vendors. Details: Walter E. Washington Convention Center; sponsorships start at $5,000; contact Caroline Zimmerman caroline.zimmerman@ejkrause.com. Highlight: Chef Emeril Lagasse will be headlining the event. The Cause: Atlas Corps is a nonprofit and leadership development organization that empowers global social change leaders to address critical social issues through an overseas fellowship. Details: Four Seasons Hotel; 6:30 p.m.; black-tie optional; $500; sponsorships start at $2,500; contact Abby Robinson (202) 470-3114, abby@atlascorps.org. 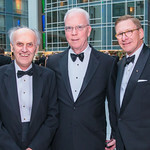 Details: Kennedy Center Opera House; black-tie; contact honors@kennedy-center.org. Highlights: Artists to be honored in 2018 include singer and actress Cher, composer and pianist Philip Glass, country music entertainer Reba McEntire, and jazz saxophonist and composer Wayne Shorter. This year, the co-creators of “Hamilton” —writer and actor Lin-Manuel Miranda, director Thomas Kail, choreographer Andy Blankenbuehler and music director Alex Lacamoire—will be recognized as trailblazing creators of a transformative work that defies category. The Cause: The event supports the multidisciplinary theatre arts organization for young people in the Washington metropolitan region. Details: The Embassy of Italy; 7:00 p.m.; creative black-tie; $400; sponsorships start at $1,000; contact Jessica Teaford (301) 280-1626, jteaford@imaginationstage.org. Details: National Museum of Women in the Arts; 10:00 a.m.; festive attire; $185; sponsorships start $2,500; contact Elissa Staley Holub (202) 274-4518, estaley@washingtonballet.org. Details: National Museum of Women in the Arts; 3:00 p.m.; festive attire; $285; sponsorships start at $1,000; contact Elissa Staley Holub (202) 274-4518, estaley@washingtonballet.org. The Cause: The family friendly event hosted by the Children’s Health Board supports the mission of Children’s National Health System, which includes medical care, research and advocacy for children. Details: Four Seasons Hotel; 12:00 p.m.; festive attire; $85 (adult); $50 (child); sponsorships start at $500; contact Allison Munoz (301) 565-8424, agmunoz@childrensnational.org. The Cause: This holiday-season highlight supports education programs and public outreach through music as well as Choral Arts’ world-class performances. Details:The Kennedy Center; 7:00 p.m.; black-tie; $675; sponsorships start at $8,000; contact Regina Burgher (202) 244-3669, rburgher@choralarts.org. The Cause: The event raises funds for local charities and supporting high-risk families and children. Details:The Katzen Arts Center, American University; 6:30 p.m.; $300; sponsorships start at $1,000; contact (202) 248-7159. Highlights: This year’s “Elegant Entertaining”- themed collection will feature pieces from over 40 dealers. 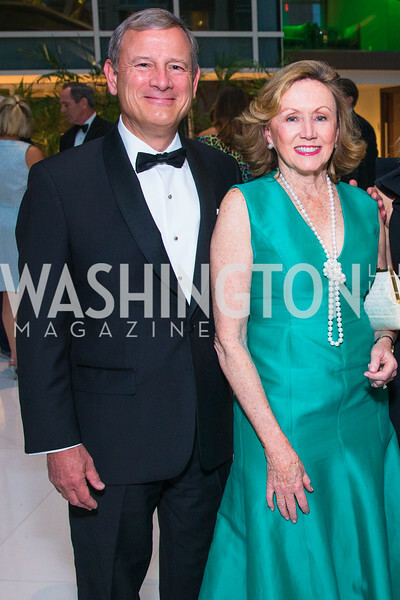 The Cause: The Russian Ball is the leading heritage event celebrating Washington’s White Russian émigré community. Details: A private social club in Washington; 6:30 p.m.; black-tie, white-tie or national costume; $295; sponsorships start at $550; contact therussianball@gmail.com. The Cause: The Academy of United States Veterans Foundation is a non-profit organization promoting and recognizing veterans’ projects. Details: The Watergate Hotel; 5:30 p.m.; black tie; $200; sponsorships start at $3,200; contact Raashida Ryan-Hayes raashidah@ausvets.org. The Cause: The event builds critical support for the mission of Children’s National Health System including medical care, research and advocacy for children. Details: Dock 5 at Union Market; 8:00 p.m.; cocktail attire; $100; sponsorships start at $500; contact Kaitlyn Salazar (301) 565-8560, ksalazar@childrensnational.org. 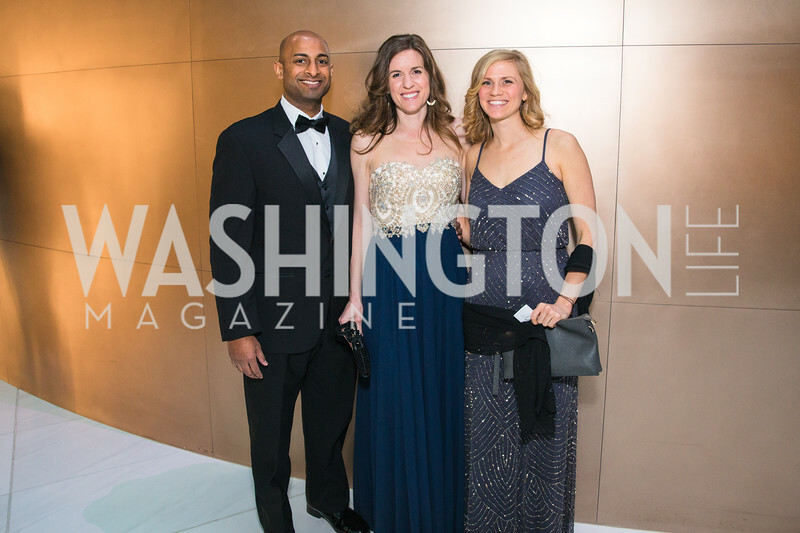 The Cause: Supporting The Washington Ballet’s continued artistic excellence in the nation’s capital. Details: Location TBD; cocktail attire; contact Elissa Staley Holub (202) 274-4518, estaley@washingtonballet.org. The Cause: Proceeds from the event will support S.O.M.E.’s affordable housing programs for homeless and very low-income families. Details: National Museum of Women in the Arts; 8:00 p.m.; black-tie optional; $80; sponsorships start at $300; contact Ingrid Feigenbaum ifeigenbaum@some.org. The Cause: Proceeds benefit the American Heart Association’s Women’s Board, a group within the AHA that raises funds aimed at reducing death and disability from heart disease and stroke. Details: Marriott Marquis; $150; sponsorships start at $1,200; contact Kara Laing (703) 248-1745, Kara.Laing@heart.org. The Cause: The American Heart Association raises the critical funding needed for research, education and community programs that lead to healthier lives, free of cardiovascular diseases and stroke. Details: Mandarin Oriental Hotel; 6:30 p.m.; black-tie; $1,000; sponsorships start at $15,000; contact Kara Laing (703) 248-1745, kara.laing@heart.org. Highlights: The evening includes heart and stroke survivor celebrations, dinner, dancing, live band as well as live and silent auctions. The Cause: The event benefits Teach For America teachers whose efforts pave the way for educational equity for all children. Details: The Ritz-Carlton, Washington, D.C.; 6:30 p.m.; cocktail attire; $1,000; sponsorships start at $5,000; contact John Philligin john.philligin@teachforamerica.org. The Cause: Proceeds benefit Catholic Charities’ efforts to foster a spirit of community through service. 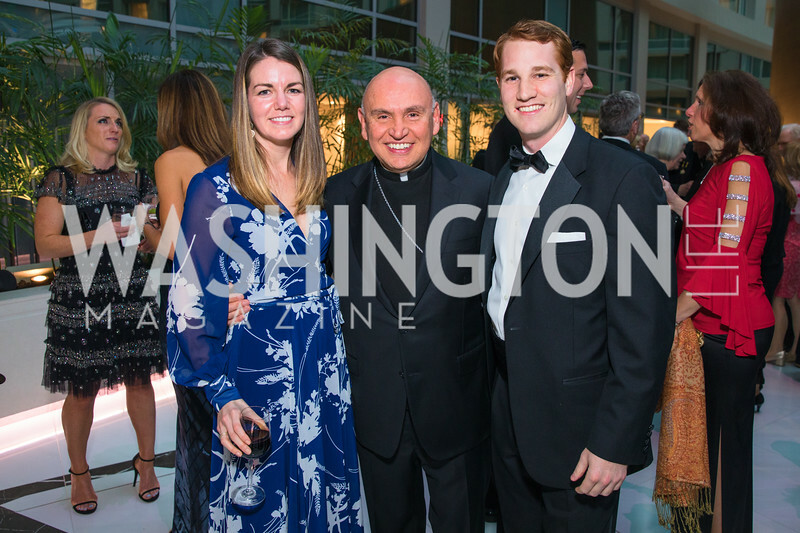 Details: Marriott Marquis; 6:30 p.m.; black-tie; $500; sponsorships start at $2,000; contact Kimani Superville (202) 772-4331, Events@CatholicCharitiesDC.org. Details: National Building Museum; 7:00 p.m.;cocktail attire; $150; sponsorships start at $2,500; contact Chelsea Director (301) 657-8444, cdirector@cff.org. Highlight: The event hosts over 40 craft breweries and bites from 30 restaurants. The Cause: The four-day food and wine celebration raises funds for the American Heart Association. Details: Attire ranges from business to black-tie; tickets range from $200-$1,000; sponsorships start at $5,000; the full schedule can be found at www.heartsdelightwineauction.org; contact Heidi Arnold (703) 248-1720, heidi.arnold@heart.org. The Cause: Sibley Memorial Hospital relies on the support of the community in order to maintain a standard of excellence in public health services, including cancer research, maternal services and joint replacement care. Details: Andrew W. Mellon Auditorium; 6:30 p.m.; black-tie; $500; sponsorships start at $2,500; contact Kristen Pruski (202) 660-6814, kpruski@jhmi.edu. The Cause: Proceeds directly support groundbreaking local clinical trials and research projects to end childhood cancer through Children’s National Medical System and Alex’s Lemonade Stand Foundation. Details: MGM National Harbor; 6:00 p.m.; cocktail attire; $250; sponsorships start at $5,000; contact Nicole Bard (703) 519-6686, nicole@chanceforlife.net. Highlight: The event consists of an amateur Texas Hold ‘Em Poker Tournament with over 650 players and a tasting reception. The Cause: The annual event supports the Town Hall Education Arts Recreation Campus and its partners, which hosts dance and music classes, fine arts and other programming and services for underserved communities. Details: The Ritz-Carlton, Washington D.C; 2:00 p.m.; $175; sponsorships start at $500; contact Beth Sadler (202) 889-5901, BSadler@thearcdc.org. The Cause: N Street Village is a nonprofit that empowers homeless and low-income women to claim their highest quality of life through shelter and a variety of programming. Details: Marriott Marquis; 5:30 p.m.; business attire; $600; sponsorships start at $5,000; contact Stuart Allen (202) 939-2085, sallen@nstreetvillage.org. The Cause: The mission of the organization is to provide opportunities for a strong academic foundation for underserved students of Hispanic descent to promote higher education and professional leadership. Details: Washington National Cathedral; cocktail attire; $300; contact Maria Fernanda Borja (202) 244-3438, mfborja@latinostudentfund.org. The Cause: The event is an annual celebration of the “Power of Baseball” in the local community and the primary fundraiser for the Nationals year-round charitable work. Details: The Anthem; cocktail attire; sponsorships start at $12,500; contact (202) 640-7124, dreamgala@nationals.com. The Cause: The event supports WPA’s far-reaching arts education initiatives and presentation of phenomenal artists at ten different venues each season. 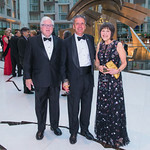 Details: National Building Museum; 6:00 p.m.; black-tie; $750; sponsorships start at $10,000, contact Roger Whyte (202) 533-1891, rwhyte@washingtonperformingarts.org. The Cause: The evening honors and celebrates a select group who have made significant contributions to their field and serve as an inspiration to women and men, girls and boys, everywhere, and generates awareness about the importance of preserving women’s history. Details: Carnegie Institution for Science; 6:00 p.m.; business attire; sponsorships start at $5,000; contact Sarah Brutschy sbrutschy@womenshistory.org. The Cause: The Free Expression Awards is the signature annual benefit for the Newseum and Freedom Forum Institute, recognizing individuals for their courageous acts of, and contributions to, free and fearless expression. Details: Newseum; 6:30 p.m.; black-tie optional; $500; sponsorships start at $3,500; contact Elizabeth Dickson (202) 292-6371, edickson@newseum.org. The Cause: Proceeds benefit The Orchestra of the Americas international musician scholarship program. Details: The Four Seasons Hotel, Georgetown; 6:30 p.m.; cocktail attire; $450; sponsorships start at $1,000; contact Jorge Rodriguez-Larrain jrodriguez@orchestraoftheamericas.org. Highlight: Arthur C. Brooks and Gabriela Montero will be honoried and Tsi-Tsi-Ki Félix will serve as host. The Cause: The annual event will help Make-A-Wish® Mid-Atlantic fulfill their mission of creating life-changing wishes for children with critical illnesses. Details: The Ronald Reagan Building and International Trade Center; 6:30 p.m.; black-tie optional; $500; sponsorships start at $2,500; contact Megan Homa (301) 962-9474, mhoma@midatlantic.wish.org. The Cause: Celebrating Venture Philanthropy Partners investment in improving opportunities for youth in Greater Washington. Details: MGM National Harbor; 6:30 p.m.; cocktail attire; sponsorships start at $3,000; contact Amy Selco (202) 263-4796, events@vppartners.org. Highlight: Honorees include Kaiser Permanente Mid-Atlantic States, Milton V. Peterson and Family, Rushern L. Baker, III. The Cause: The Alliance Française of Washington’s 70th anniversary gala will help support its youth programs, particularly the E.W. Stokes Charter School Summer Camp Scholarship, and other educational scholarships for young students. The gala will also allow AFDC to offer unique and high quality cultural programming and operate the only French language lending library in the Mid-Atlantic region. Details: Location TBD; 7:30 p.m.; cocktail attire; $1,000; sponsorships start at $2,500; contact Sarah Diligenti director@francec.org or Daniela Paoli, daniela@onestyled.com. The Cause: Proceeds from the event support the museum’s special exhibitions, educational programs, and public audience engagement initiatives. Details: National Museum of Women in the Arts; 6:30 p.m.; black-tie; $1,000; sponsorships start at $10,000; contact Fiona Murray (202) 266-2815, fmurray@nmwa.org. 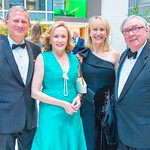 The Cause: The Children’s Ball builds critical support for the mission of Children’s National Health System including medical care, research and advocacy for children. Details: The Anthem; 7:00 p.m.; black-tie; $1,500; sponsorships start at $12,500; contact Jen Fleming (301) 565-8530, jbfleming2@childrensnational.org. Twhe Cause: Proceeds from the event will fund world-class research and treatment programs at Georgetown University for people with cancer. Details: The Ritz-Carlton, Tysons Corner; 5:30 p.m.; business attire; $500; sponsorships start at $4,000; contact Cristy Heffernan Seth ch1175@georgetown.edu. The Cause: The event will support lung cancer research and programs that will save lives and offer new hope in treatment and survivorship. Details: Andrew W. Mellon Auditorium; 7:00 p.m.; cocktail attire; $500; sponsorships start at $5,000; contact Alana Boardman (240) 454-0973, aboardman@lungevity.org. The Cause: Proceeds from the event supports Phillips’ Career Partners program, which helps high school students and graduates develop workforce skills. Details: The McLean Hilton Hotel, Tysons Corner; 6:00 p.m.; creative cocktail; $200; sponsorships start at $500; contact Debi Alexander Debi Alexander debi.alexander@phillipsprograms.org. The Cause: The event supports the Holocaust Memorial Museum’s campaign, “Never Again: What You Do Matters,” which will allow for critical investments to keep memory of the Holocaust alive as a relevant force for change. Details: Location TBD; 6:00 p.m.; business or cocktail attire; $450; sponsorships start at $1,800; contact Courtney Campbell (202) 314-7877, ccampbell@ushmm.org. The Cause: Protection and assistance for refugees and displaced people. Details: Andrew W. Mellon Auditorium; 6:30 p.m.; business attire; contact Tamala Scott (202) 540-7004. The Cause: The annual event provides critical funding to support the Center’s performances, education programs and outreach initiatives. Date & Time: Spring of 2019, time to be announced. Details: Kennedy Center Concert Hall; black-tie; contact (202) 416-8338, springgala@kennedy-center.org. The Cause: Proceeds support CityDance’s award-winning DREAM program– an after-school program that provides dance classes and performance opportunities; mentoring and tutoring to students from underserved communities. Details: The Lincoln Theatre (performance) and Thurgood Marshall Center for Services (after party); 8:00 p.m.; creative cocktail attire; $250; sponsorships start at $1,000; contact Larkin Cohan (202) 347-3909, dreamgala@citydance.net. The Cause: Proceeds benefit ADDF’s Alzheimer’s research. Details: The Ritz-Carlton, Washington; 10:30 a.m.; $500; contact rsvp@alzdiscovery.org. The Cause: Proceeds support the March of Dimes Foundation advocacy programs. Details: National Building Museum; 6 p.m.; business attire; sponsorships start at $5,000; contact Kate Leib (571) 257-2309, kleib@marchofdimes.org. Highlights: More than 50 U.S. senators and representatives participate in this competitive cook-off as Celebrity Chefs, serving their favorite hors d’oeuvres, desserts and drinks. The Cause: The non-profit organization is solely dedicated to cancer prevention and early detection. Details: National Building Museum; 6:30 p.m.; black-tie; $1,000; sponsorships start at $7,000; contact Jacob Petersen (703) 837-3688, jacob.petersen@preventcancer.org. The Cause: Proceeds benefit the Phillips Collection educational programs that forward K-12 education reform, art and wellness, and lifelong learning in the Washington community, across the country, and globally. Details: The Phillips Collection; 6:30 p.m.; black-tie; contact annualgala@phillipscollection.org. 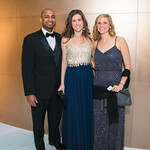 The Cause: The evening supports arts and education programs and productions of The Washington Ballet. Details: The Anthem; black-tie; $1,000; sponsorships start at $2,500; contact Elissa Staley Holub (202) 274-4518, estaley@washingtonballet.org. The Cause: The Children’s Inn at the National Institute of Health is a nonprofit residential “place like home” for seriously ill children and their families to stay free of charge while participating in groundbreaking medical treatments at the NIH. Details: The Ritz-Carlton, Tysons Corner; 6:00 p.m.; black-tie; $800; sponsorships start at $7,000; contact Anne Mandeville (301) 827-6069, anne.mandeville@nih.gov. The Cause: The event supports the multidisciplinary theater and arts organization for young people in the Washington metropolitan region. Details: Imagination Stage; 3:30 p.m.; festive attire; $400/ four person family; sponsorships start at $1,000; contact Jessica Teaford (301) 280-1626, jteaford@imaginationstage.org. The Cause: Proceeds benefit Glen Echo Park Partnership for Arts and Culture, a non-profit group that manages visual and performing arts centers. Details: Glen Echo Park Spanish Ballroom; 6:00 p.m.; creative black-tie; $200; sponsorships start at $1,000; contact Debbie Mueller (301) 634-2230, dmueller@glenechopark.org. The Cause: Proceeds benefit Arena Stage’s artistic productions and community engagement programs. Details: Arena Stage at the Mead Center for American Theater; 5:30 p.m.; cocktail attire; $500; sponsorships start at $5,000; contact Maria Corso (202) 600-4025, mcorso@arenastage.org. The Cause: The WNO’s annual event supports year-round programming. The Cause: The event supports the Hillwood Museum’s ongoing efforts to share Marjorie Merriweather Post’s cultural legacy with the public. Details: Hillwood Estate, Museum & Gardens; 6:30 p.m.; black-tie; $500; sponsorships start at $1,000; contact Allison Kingery (202) 243-3974, akingery@hillwoodmuseum.org. The Cause: The event benefits Friends of the National Arboretum and the U.S. National Arboretum’s public gardens, horticultural research, public outreach and the Washington Youth Garden, which provides education programs for Washington’s underserved youth. 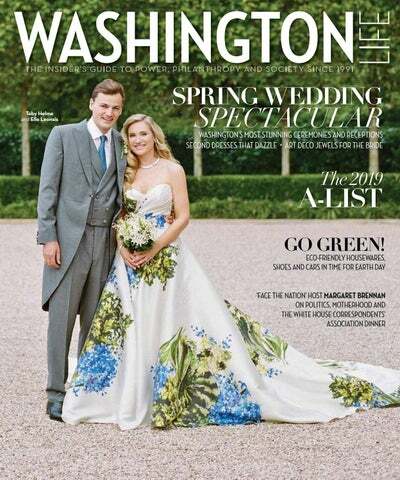 Details: The U.S. National Arboretum; garden party attire; contact Catherine Kerkam (202) 544-8733, cathy@fona.org. Highlights: Cocktails are hosted in the National Herb Garden and dinner is served under a tent in the Capitol Columns meadow. The Cause: N Street Village is a nonprofit group that empowers homeless and low-income women to claim their highest quality of life through shelter and a variety of programming. Details: The Ritz-Carlton, Washington, D.C.; 12:00 p.m.; $200; sponsorships start at $2,500; contact Stuart Allen (202) 939-2085, sallen@nstreetvillage.org. The Cause: The evening benefits HBS’ Alumni Association Scholarship Program, which awards annual executive education scholarships to local nonprofit leaders who are making a difference in local communities. Details: The Four Seasons Hotel; 6:30 p.m.; black-tie; $650; sponsorships start at $10,000; contact Penny Cassidy pcassidy@hbsdc.org. The Cause: The mission of Sandy Hook Promise is to prevent gun-related deaths due to crime, suicide and accidental discharge. Details: Andrew W. Mellon Auditorium; 6:00 p.m.; business attire; $1,000; sponsorships start at $5,000; contact Sarah Lopez (202) 664-4236, sarah.lopez@sandyhookpromise.org. The Cause: Recognizing and honoring talented arts icons, successful social entrepreneurs and public policy visionaries, changemakers and trailblazers who have dedicated their lives to pushing past traditional boundaries to create a movement, lead an organization or impact the world. Details: Visit www.HalcyonAwards.org for more information; contact David Corson d.corson@halcyonhouse.org. The Cause: The pro-Israel, pro-peace group organizes and mobilizes Americans who want Israel to be secure, democratic and the national home of Jewish people. Details: Location TBD; $300; sponsorships start at $1,800; contact info@jstreet.org. This feature appeared in the September 2018 issue of Washington Life magazine.